At the base of some of the Tahoe area's best ski trails, the Ridge Pointe Tahoe offers unparalleled access to the region's best year-round attractions. Find timeshare resales and rentals at the resort and save as much as 70%. 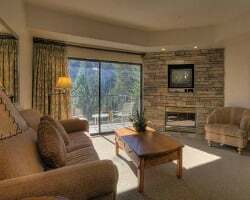 What’s My Ridge Pointe Tahoe Timeshare Worth? 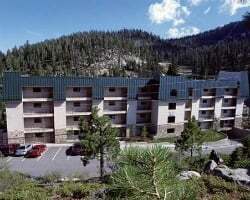 High above Lake Tahoe in the midst of the Sierra Nevada range, the Ridge Pointe Tahoe is a part of the larger Ridge Resorts complex in Stateline. Boasting incredible access to mountain slopes, hiking trails, and more scenic attractions, you'll find the perfect vacation retreat at the Ridge Pointe. Take advantage of special on-site amenities, including a fitness center, ski-in ski-out capabilities, indoor and outdoor swimming pools, on-site restaurants, and convenient shuttle services. 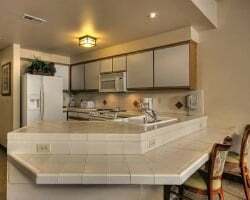 Boasting one- and two-bedroom condominium-style units, the Ridge Pointe Tahoe is great for both couples and families alike. With space enough for up to six, your timeshare will ensure your complete comfort for the duration of your stay. You'll find your timeshare comes equipped with full kitchens, spacious living and dining areas, gas fireplaces, premium Sleep Number® king-size beds, and so much more. Vacations will never be the same once you have your very own home away from home at the Ridge Pointe Tahoe. Are you ready to learn more about owning a timeshare at this spectacular resort? Fill out the form on this page for more information on buying a timeshare, or call a representative at 1-877-815-4227. Purchasing a timeshare at the Ridge Pointe Tahoe can provide you with years of amazing trips to Lake Tahoe, as well as a variety of special ownership benefits to enhance your trips. However, the best benefit of all is the savings you could gain from buying through the resale market. Because resales aren't sold by the resort, you can find great deals on accommodations that would typically costs thousands more. Instead, you could end up saving as much as 70% with your resale purchase, all while gaining the same great ownership perks. You'll find resales at the resort come in the form of deeded fixed and floating timeshare weeks spread throughout the calendar year. With the ability to narrow your results by unit size, preferred amenities, season of ownership, and price point, you can find the perfect timeshare for you that fits your budget and meets your needs. Timeshare exchange allows resale owners to maximize their ownership by exploring new and exciting vacation possibilities all around the world. In the case of owners at the Ridge Pointe Lake Tahoe, a membership with Interval International can accomplish just that. Obtain your membership to start turning in your Tahoe accommodations for the chance to stay at similar properties in popular travel destinations all across the globe. Additionally, since the resort has earned the Select rating from Interval, you'll be able to trade with other high-rated properties in the network. The Ridge Pointe Tahoe includes an array of spectacular on-site amenities guaranteed to make your vacation exciting and enjoyable. Start off with the ski lifts, which provide the ultimate convenience to wintertime visitors. Walk right outside your timeshare to find the lifts waiting for you at East Peak's best slopes. Take advantage of the on-site fitness center to help you stay in shape, or opt for a relaxing day by the indoor or outdoor swimming pool. Soak in the Jacuzzi to unwind after a day of exploring, or visit the Elevation Spa for a more soothing experience. Dining options are abound at the restaurant, featuring the Hungry Bear Restaurant, The Bistro, and the Bear Trap Bar. Take the shuttle to the Stateline casino area to enjoy late nights of gambling and gaming, or find the entrance to the Tahoe Rim Trail just beyond the property to enjoy a day of hiking through one of Nevada's most scenic destinations. Boat, swim, or sunbathe down at the lake, or stay at the resort to find tennis courts, golf driving nets, and other outdoor recreation options. Already Own at Ridge Pointe Tahoe?